Senior Economics Fellow at the Institute for New Economic Thinking in New York. Qiyuan Xu and Fan He, 2016, “The Influence of RMB Cross-border Settlement on the Chinese Economy”, China and World Economy, Volume 24-1, pp104-22. He Fan, Xiang Li and Dan Su, 2015, “International Capital Movement in China: Recent Trend, Economic Impacts and Policy Options”, AMRO Working Paper. He Fan and Tristram Sainsbury, 2015, “The G20 in 2016: How Can China Contribute?” in Mike Callaghan and Tristram Sainsbury eds. The G20 and the Future of International Economic Governance, Lowy Institute. Fan He and Xiaoming Pan, 2015, “China’s Trade Negotiation Strategies: Matters of Growth and Regional Economic Integration”, Australian National University Working Paper. Fan He and Panpan Yang, 2015,“China’s Role in Asia’s Free Trade Agreements”, Asia and the Pacific Policy Studies, May,pp416-424. Fan He and Wang Bijun, 2013, “China’s Interest in Global Investment Regime”, EAPER Working Paper No.90, Australian National University. Scott Kennedy and Fan He, 2013, “New Era, New Issue: U.S, China and Global Governance”, University of Indiana and IWEP Working paper. He Fan, 2009, “China’s Economic Reform: Success, Problems and Challenges”, in Philippa Dee eds. Institutions for Economic Reform in Asia, Rutledge: London and New York. 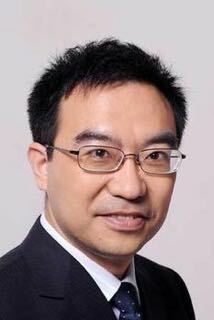 Zhang Ming and He Fan, 2009, “China’s Sovereign Wealth Fund: Weakness and Challenges”, China and World Economy, Vol17-1. He Fan and Tang Yuehua, “Determinants of the Official Development Assistance in the Post-Cold War Period”, Chinese Journal of International Politics, Vol2-2, pp.205-227. He Fan, Zhang Bin, Zhang Ming (2006). “After the CMI: The Future of Asian Monetary Cooperation and China's Role”, Globalization and Economic Growth in China, Series on Economic Development and Growth, Vol.1, edited by Yang Yao and Linda Yueh, World Scientific Publishing Company, Imperial College Press, November. Zhang Bin and He Fan, 2007, “Is ACU Attractive to Asian Economies?” China and World Economy. January. He Fan, 2002. “How Far is China away from a Financial Crisis”, China and World Economy, May, 2002.